Barth is a Partner in the Assurance and Advisory group of Kingston Ross Pasnak LLP. His practice includes entities in the construction, aviation, professional services, non-profit, government, property development, retail and manufacturing sectors. Barth leads our quality assurance team and in that role is regularly consulted on complex financial reporting and audit matters. Numerous professional development courses through the Institute of Chartered Accountants of Alberta, Chartered Professional Accountants Alberta and the Chartered Professional Accountants Canada (formerly CICA). Mr. Bradley has extensive experience in assisting corporations in taxation, financing and succession matters. As an advisor to independent family owned business Mr. Bradley has developed expertise in the development of family constitutions to assist families in achieving both their business and family goals. 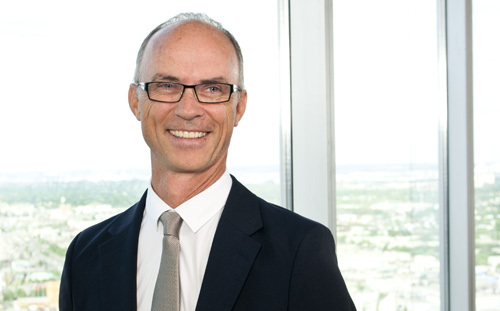 Barth has a depth of experience in Board governance and strategic planning from participating on Boards and governing Councils of not-for-profit organizations including his role as President of the Institute of Chartered Accountants of Alberta.